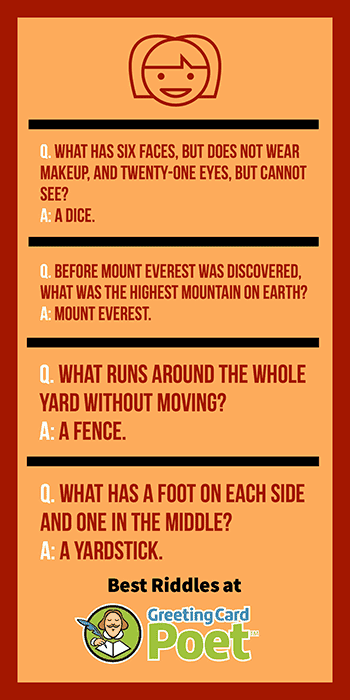 These best riddles with answers have been used for centuries to challenge intelligence of people and have passed the test of time by virtue of how imaginative and fun they can be. 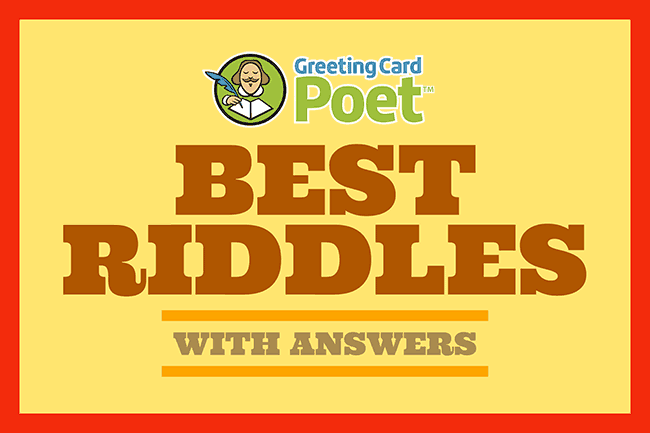 Regardless of whether they are easy or hard, you can’t deny that riddles capture our attention with ease, and make us restless until we find the answer. They improve one’s reading comprehension skills and reasoning ability and help riddlers to crack even the toughest riddles. These skills aren’t just confined to figuring out riddles either; with regular practice and honing, they become important life tools for children and adults alike. 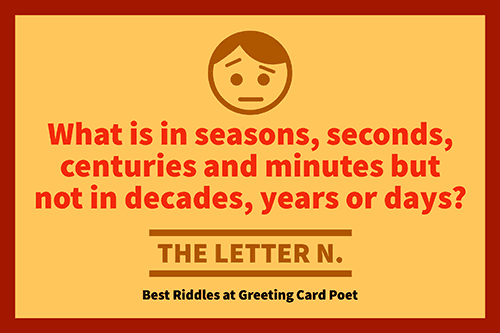 Let’s see you take a crack at solving the best riddles below. I never was, am always to be. No one ever saw me, nor ever will. And yet I am the confidence of all, To live and breath on this terrestrial ball. What am I? I know a word of letters three. Add two, and fewer there will be! I give you a group of three. One is sitting down, and will never get up. The second eats as much as is given to him, yet is always hungry. The third goes away and never returns. What are they? For love of me, easily beaten, never free. What am I? I’m lighter than what I am made of and more of me is hidden than is seen. What am I? You heard me before, yet you hear me again. Then I die, ’till you call me again. Check out our funny jokes for kids. I go around in circles, but always straight ahead. I never complain, no matter where I am led. What am I? What has six faces, but does not wear makeup, and twenty-one eyes, but cannot see? Tip: Use these best riddles with answers by writing them down on post-it notes and including them in your kids’ lunches. If you drop me I’m sure to crack, but give me a smile and I’ll always smile back. What am I? You’ve heard me before, yet you hear me again. Then I die until you call me again. What am I? Never mind, it’s over your head. There are 11 letters in the alphabet. How can you spell cold with two letters? I have two arms, but fingers none. I have two feet, but cannot run. While I carry well, I have found I carry best with my feet OFF the ground. What am I? Note: Do you have some of the best riddles to add to our mix? Send them to us via our contact page. Check out are Puns for Kids. How do cowboys ride steers? What is Medusa’s favorite cheese? You may like or This or That Questions page. Why are artists no good in sports matches? It’s pregnant every time you see her, yet she never will give birth. What is it? I am always hungry and will die if not fed, whatever I touch will soon turn to red. What am I? I can shave 25 times a day and still have a beard? What am I? You saw me where I never was and where I could not be. And yet within that very place, my face you do often see. What am I? Dirty when white. What am I? There is a green house. Inside the green house there is a white house. Inside the white house there is a red house. And, inside the red house there are lots of babies. What is it? It’s no doubt that the level of difficulty carried by a good riddle may be comprehended differently by different people. Some riddles might be easy for you, while difficult to solve for others. Either way, we hope you weren’t too stumped and had a blast solving this list!